It is my privilege to welcome you to the Westside School District! The faculty and staff at Westside are a great group of hardworking people who are truly dedicated to ensuring students receive the best education possible. The district is comprised of the Elementary, Grades K-6, which is located at the Hartman campus. There are approximately 365 students at the elementary. The Leader in Me is being implemented and “Lighthouse” status is being obtained. This program provides students with life skills which are embedded into the curriculum. The High School, Grades 7-12, is located at the Coal Hill campus and has approximately 285 students. The high school plans to implement an “Advisory Period” this year. This period will provide students with opportunities for remediation as needed and if students meet specific criteria, they may choose what they would like to do during this time. Some opportunities may include tutoring for driver’s education written exam, hunter’s safety, boat safety, playing basketball in the gym and/or being with friends in supervised areas. Westside offers a variety of extra-curricular activities for students. This will be the second year we will have a Trap Shoot team. Westside is a Provision II School, which means we provide all students (K-12) are served a free breakfast and lunch during the school year. The Rockin Rebel, 21st CCLC, program for K-6 students, starts after school, Monday-Thursday on regular school days and ends at 5:30. Supper is served to students prior to being transported home. If there is an early dismissal, Rockin’ Rebels will not be in session. Thank you parents, staff, students and community for your continued support of the Westside Rebels! If you need additional information about the Westside School District, please feel free to contact me. Westside Public Schools participates in the Arkansas Public School Choice Act 560 of 2015. 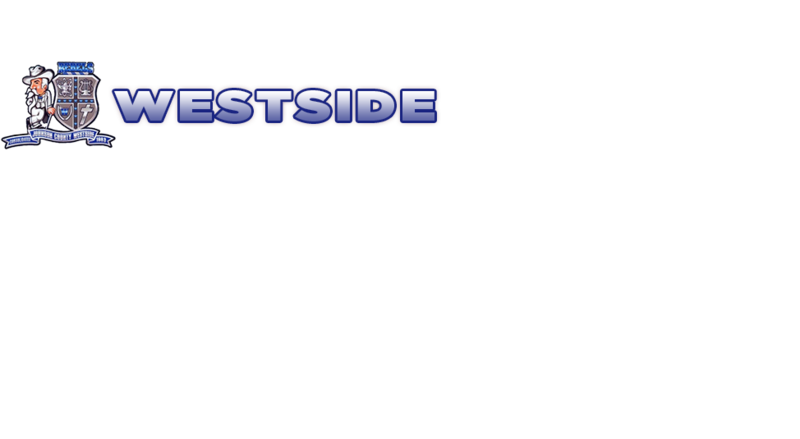 Any parent residing outside the Westside School District that desires to send their child to the Westside Schools beginning with the 2017-2018 school year may obtain an application in the superintendent’s office at 1535 Rabbit Hill Road Hartman, AR 72840. The application must be postmarked no later than May 1 of the year in which the pupil would begin the fall semester at the nonresident district. Parents are encouraged to have the application submitted as soon as possible as the new School Choice Law has a 3% cap limitation on the number of applications that can be accepted. Applications do not have to be resubmitted for any students currently attending Westside Schools under the School Choice Act. This notice is prepared in accordance with Arkansas statute 6-18-227.